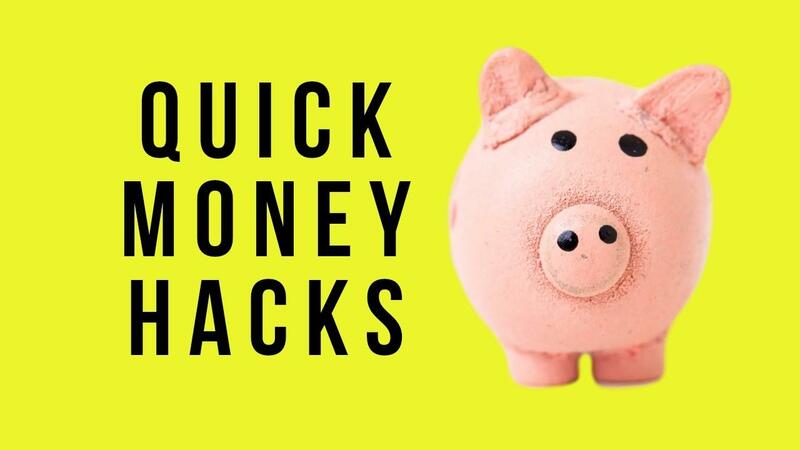 Quick Money Hacks will show you a variety of quick actions you can immediately take to generate some quick cash. 1. How one common item sitting right under your nose could pay this months car or mortgage payment. I stumbled around and found another $455 last week. 2. The one simple question you can ask just about any successful guru and reap a handsome payday. The last time I asked this question it created a $1450 per month income stream. 3. How to turn $10 into $2000. Hint: It's not putting a $10 bill into a copy machine and hitting print 200 times. It's actually super easy and part of a Billion Dollar Industry! 4. The single best way ever discovered to make outrageous affiliate commissions and not even be the one to do the work! One 4 minute phone call profited me $16,000 last time I did this. 5. What new website is turning former struggling marketers into millionaires with items you find all day long in your own bedroom. The interview you'll witness exposes how a friend went from dead broke to making over $100,000 per month leveraging this simple website. 6. A dirty little secret to turn other people's videos into daily cash sucking income streams. You'll see PROOF of a video that averaged $248 a day and took less than 30 minutes to set up! 7. How to pluck buyers literally sitting right in front of your face. I did this for a $40,000 cash windfall in one night. 8. Discover one simple trick on how to turn $1 into $2 over and over again every holiday season. You can even do this year round on birthdays too. 9. How to use a crazy profitable trick with old newspapers and classifieds to get items for pennies on the dollar! 10. Why registering a simple first name could make you thousands of dollars if you act quickly. 11. A little-known website that may be holding money that belongs to you. I had no idea there'd been a couple hundred dollars sitting in my account for almost 10 years. There's a good chance you have money sitting in there too.